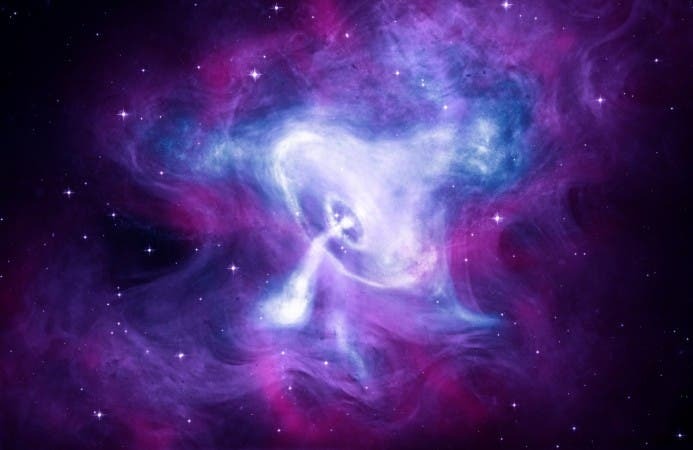 NASA has just released a breathtaking image of the Crab Nebula. It is a composite image that combines data from three different space observatories. The nebula is powered by a pulsar –a fast-spinning, highly magnetized neutron star– the result of a once massive star that ran out of nuclear fuel, leading to its collapse. As a result, there is now a rapidly spinning core with a strong magnetic field that generates an "intense electromagnetic field that creates jets of matter and anti-matter moving away from both the north and south poles of the pulsar, and an intense wind flowing out in the equatorial direction," notes the NASA release. Chandra X-ray observatory captures light in blue and white apart from the X-ray wavelength, the Hubble Space Telescope contributes the purple hues in the image, and the Spitzer Space Telescope provides the pinks. The extent of X-rays seen in this image is smaller because of "extremely energetic electrons" that emit X-rays radiate their energy faster than low energy electrons that emit optically visible light as well as infrared. NASA reports that the Crab Nebula is one of the first objects in space that the Chandra examined since its launch almost 20 years ago. Chandra was launched in 1999 by a Space Shuttle Columbia mission and has, since been studying the universe with keen precision. The Crab Nebula is an interesting celestial object. It is, according to NASA, one of the few cases where there is actual evidence of when a star exploded and continuous record of it has been kept. There were reports of a "new star" appearing in the night sky in the direction of the constellation Taurus, from several countries around the world. 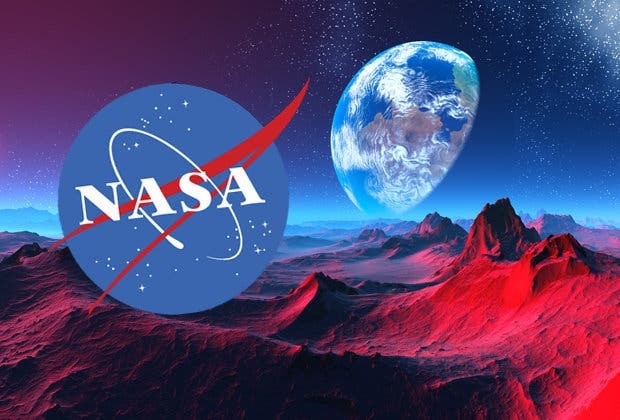 These reports were found as early as 1054 AD, says NASA. This image is a composite that NASA says adds to a legacy of scientific study that is now almost 20 years old.